One could easily see that there is a big difference between Weimar and Berlin—two important German cities, especially for students. These diversities can be described in lots of ways such as scale, people, daily routines, public transportation, language, and so on. My latest November has been one of the most intense ones, shuttling between Weimar and Berlin, rushing from one place to another, getting exhausted, and yet having fun and experiencing a lot. On a comparatively warm day, in the middle of October, I came to Weimar. The city surrounded me with its beauty and peace. And by “beauty” and “peace”, I literally mean what these commonly used words mean. I knew that I would come to study in a small, calm city, but I wasn’t expecting such a simple and yet satisfying scenery to welcome me. I spent around 20 days in Weimar. After Istanbul, that big and restless city, Weimar created a healing effect on me. But before I got used to this atmosphere, I left for Berlin on a very similar day as I came. 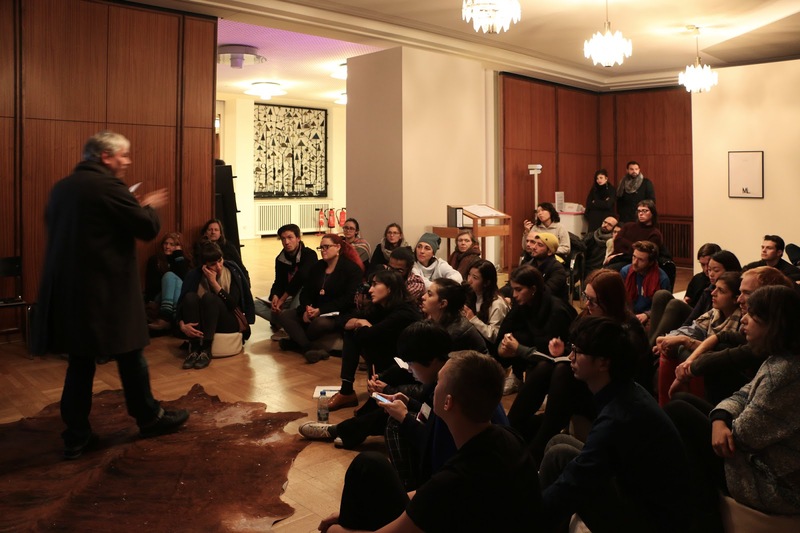 We, as the Public Art program of Bauhaus-Universität Weimar, were invited by Maxim Gorki Theatre to be a part of the third edition of Berliner Herbstsalon. As the whole department including the first and third-semester students, professors and some of the alumni, we directed our way to Berlin, to spend November in Berlin. Under the roof of this amazing exhibition by Gorki, each of us had the opportunity to establish individual and/or collective works to be presented in the space. The theme was “Dis-Integration”, featuring projects in different fields from art to theatre, from performance to discourse. The center of the city hosted a range of events spread in four buildings: Kronprinzenpalais, the Brandenburg Gate, Palais am Festungsgraben and Gorki itself. A room on the ground floor of Kronprinzenpalais was reserved for us to have lectures, discussions, presentations and even warm-ups in order to turn it into an ongoing workshop. All the stages passed pretty intensely for all of us. We were working separately on our own projects, which means a process of finding an idea, sharing it with the class, getting approval to start, finding the right materials, installing the work, and making its documentation. While doing this, we also had lectures by different tutors, helped the others to set up or document their works, tried to live as a commune, and catch the free breakfast at the hostel early in the morning. The exhibition took place between 11-26 November 2017, we arrived in Berlin on the 6th, and we had 5 days until the opening. It was supposed to be an ongoing process of creating projects for us, we were not obligated to finalize our works immediately. But we needed to offer the visitors something to look at as a part of the whole program. And so we did. We organized the room as an ever-changing space. Since we were around 30 artists, each of us had their own takes, so the audience visiting a second time would come across to another arrangement. The exhibition was open to the public from 16:00 till 23:00. We didn’t only create artworks but also watched the space by turns for welcoming the visitors and guiding them through our and others works. Through this steps, we had the chance to meet the other artists at the opening dinner and also see the backstages of their works during the installing phase. This experience started to make me think of the importance of the process. How necessary is it to listen about an artwork from the artist himself/herself? Would our observations change if we could see the making process? Does it make any difference to meet the artist in order to perceive more? Besides having such an important role in a big exhibition, we explored in Berlin. A never-stopping city, full of events and creative people, was waiting for me to discover. Even though I had the chance to experience Berlin for a few months during my internship in 2013, I knew that there was always something to discover or run into. We stayed in Mitte, which is supposed to mean the middle, midpoint, center of the city. This was an amazing point to start wandering around. I figured out that if I was creating an artistic work in Berlin, I had to get inspired by the details that the city offers. And to do so, I focused on my favorite theme while defining my route: Architecture. Berlin offers an intensive variation when it comes to intriguing architecture. This time, what was trigging me was the museum and gallery buildings. My first stop was Sammlung Boros, which has quite a complicated history. 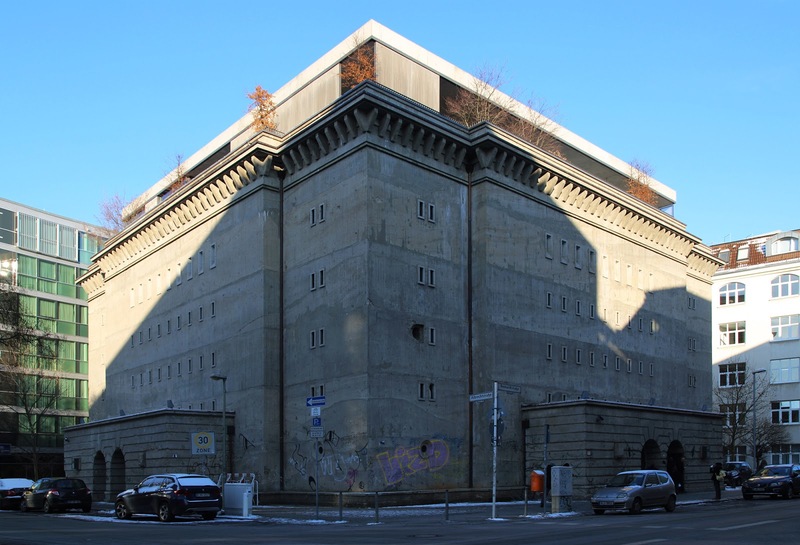 It is also known as “Bunker Berlin” that was built during World War 2 as an air-raid shelter. After the war ended, its background started to change. Respectively, it became a tropical fruit warehouse, a techno music and fetish club, and then purchased by Christian Boros to be used as a space for his private art collection. After the bunker, I turned my direction to König Gallery in Kreuzberg. It was built in the 1960’s as a modern church. 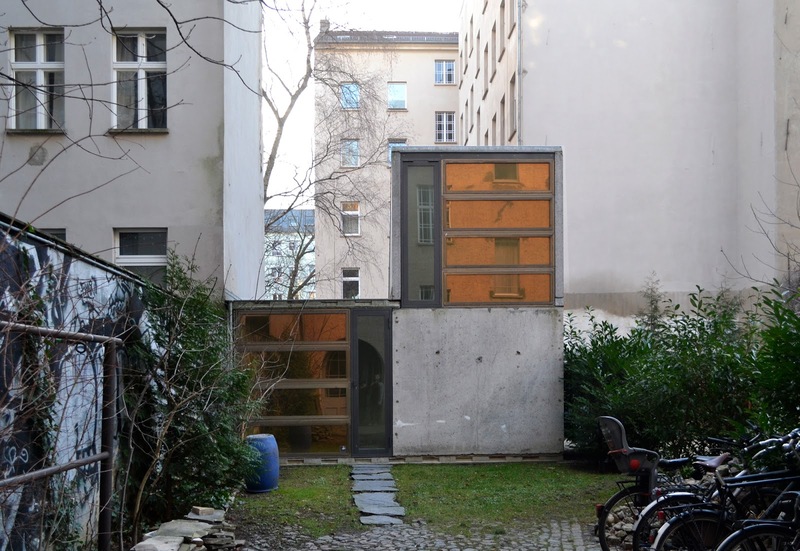 Since May 2015 until today, it has been housing a variety of different tenants: from the König Gallery to the studio of 032c Magazine, from an architecture firm to New York University’s Berlin office. I left König Gallery and recalled (now closed) Stadtbad Wedding. 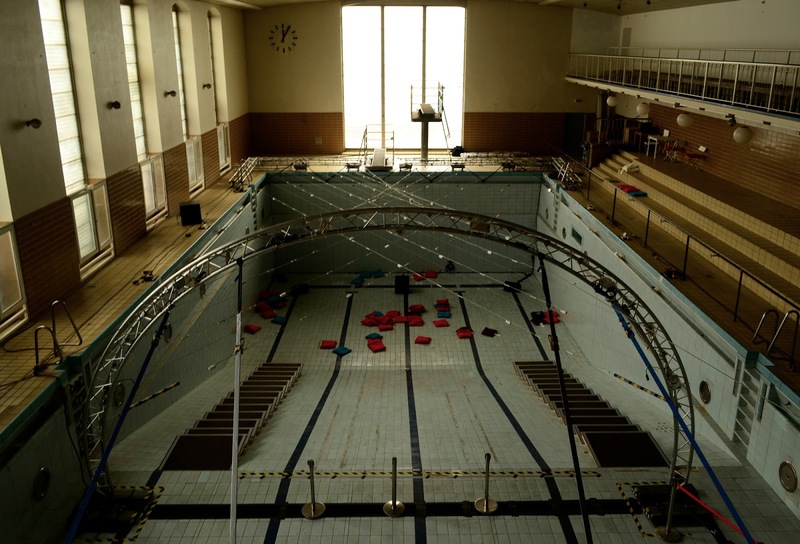 It was an enormous indoor pool, which was turned into an exhibition space after losing its mission. The inner space and the walls of the pool were functioning as a room of a gallery, while the space underneath was turning into a club during the nights. Another example, Plattenpalast, was designed for a research project by the Technical University of Berlin. When I tended to visit it, it was also working as an art space for installations, photography, paintings, and sculptures. I have visited these buildings in 2013. Back then, my interpretations were not as defined as today. Since I was seeking for an emerging point to create my project for Gorki’s exhibition, my memories came together and uncovered a clear statement: The ever-changing pasts of the art buildings! How many times can the function of a building change? How irrelevant can they be? Does the facade have to reflect what is inside? I named my project after “Ever-changing Past” that examines the relationship between the facade and what it hides behind. 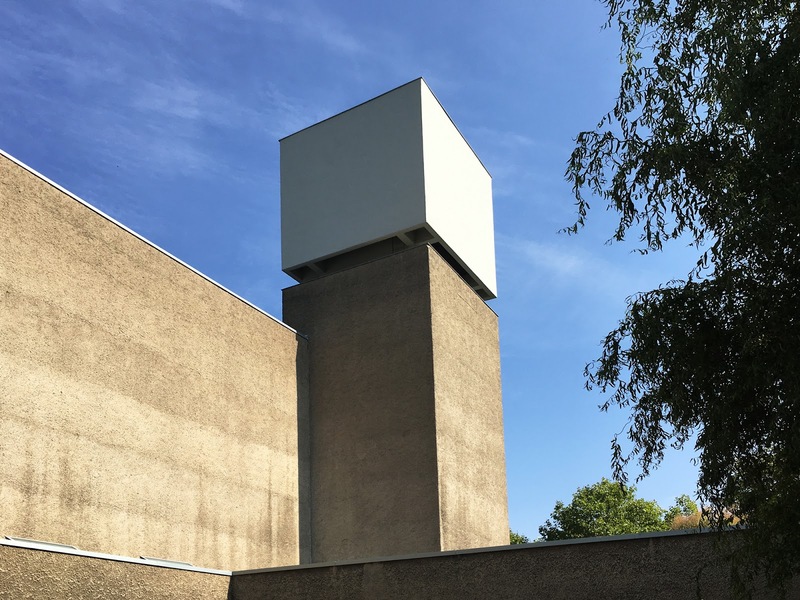 The work is inspired by the baffling functions of the buildings I have mentioned above and also includes its own exhibition space: Kronprinzenpalais. These structures have something in common. All have been built for a certain reason; all of their details address that specific position. But after their functions were not necessary anymore, they were turned into something else, again and again. My installation aims to reflect these alterations. Transparent pieces represent the functions while the junction points are their effect on each other. The pieces hang from the ceiling on the window space which is chosen as an area in-between public and private. 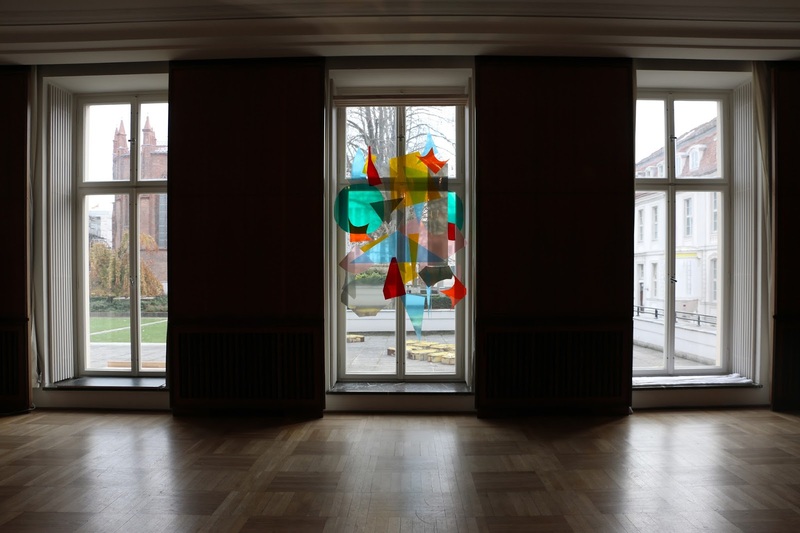 Four forms are picked from the inside while four of them are from the courtyard of Kronprinzenpalais—in order to create a site-specific work. 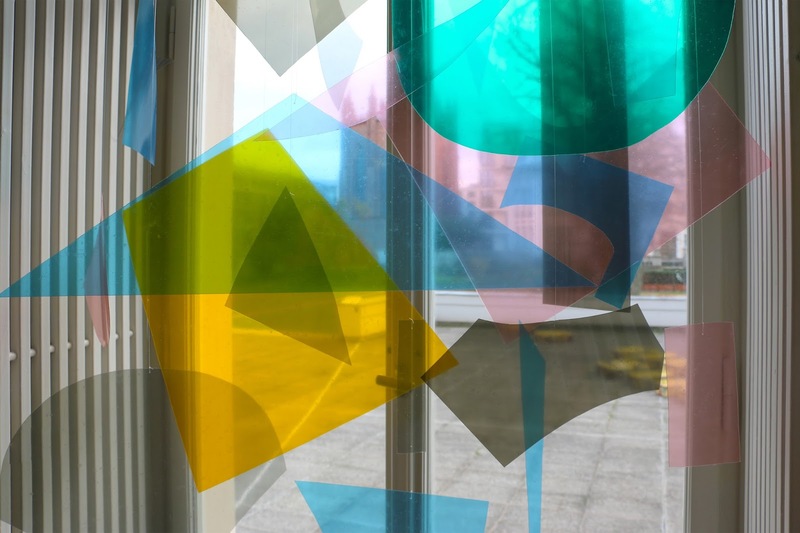 The visitors are allowed to poke the pieces to strengthen the impact and compose a variation in the composition. I left Berlin on a rainy day. Even though the weather has gone pretty much colder, I was happy to be a part of such a big event. I have created an installation that examines a topic I have been dealing with such a long time, and I was going back home to Weimar to have some rest.